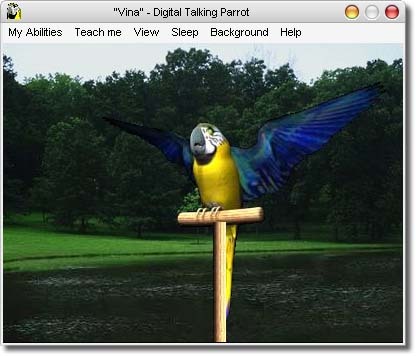 "This free screensaver simulates a talking parrot, but like the real thing, Digital Talking Parrot can learn, remember, and repeat what you teach it. You can edit its vocabulary or record words using your system microphone. The program can run as a screensaver or standalone app...."
Share your comments about AV Digital Talking Parrot.